3 years & up. 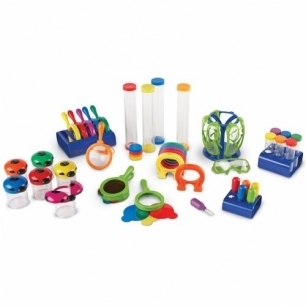 Equip your classroom with all the essentials for science discoveries! This Primary Science Classroom Bundle supports the exploration of a variety of science topics and is specifically designed for little hands. Promote inquiry-based learning as young students hypothesize, investigate, and form conclusions.